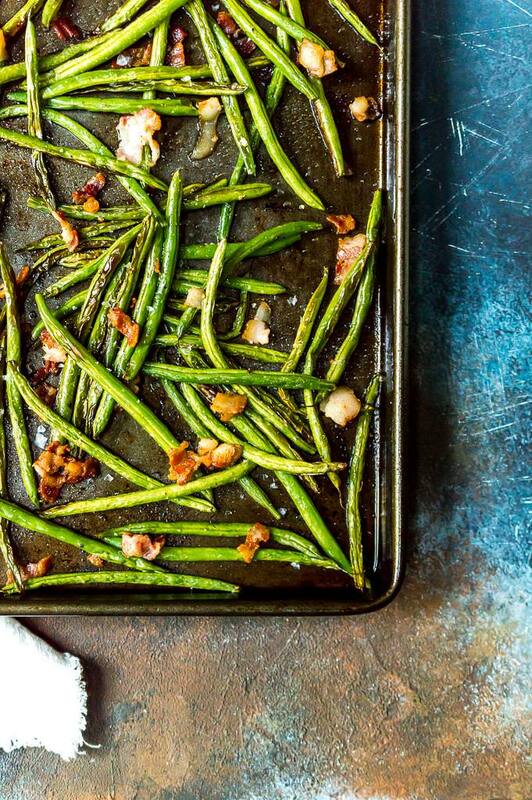 With just 3 ingredients this Roasted Green Beans with Bacon Recipe is a fantastic side dish. 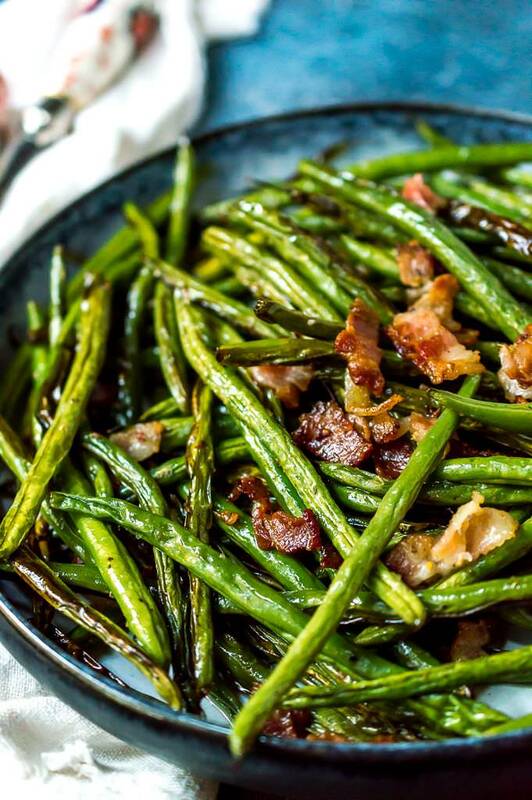 Fresh green beans and salty bacon make the perfect pair. 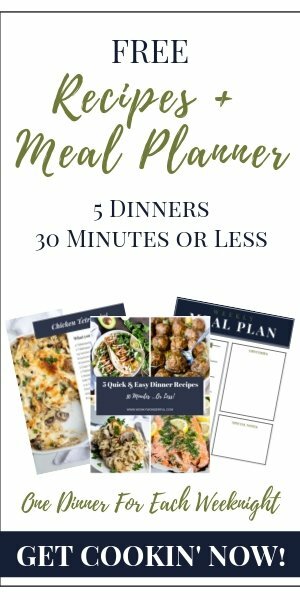 This is a Paleo Whole 30 compliant recipe, gluten free, grain free and dairy free. Say hello to my Lean Mean Green Beans! I’m not usually screaming from the rooftops about a side dish recipe. . . but, these Roasted Green Beans with Bacon are freaking awesome!!! Super easy, just 3 ingredients and they go with just about anything. Granted, bacon makes everything better. But there is just something about the green bean and bacon combo. Something Magical. Seriously though, it’s gooooood! Can you believe that this is my first recipe that involves green beans!?!? Fresh green beans are just something I don’t usually think about buying. How about you? Well, from now on they will be on my grocery list. 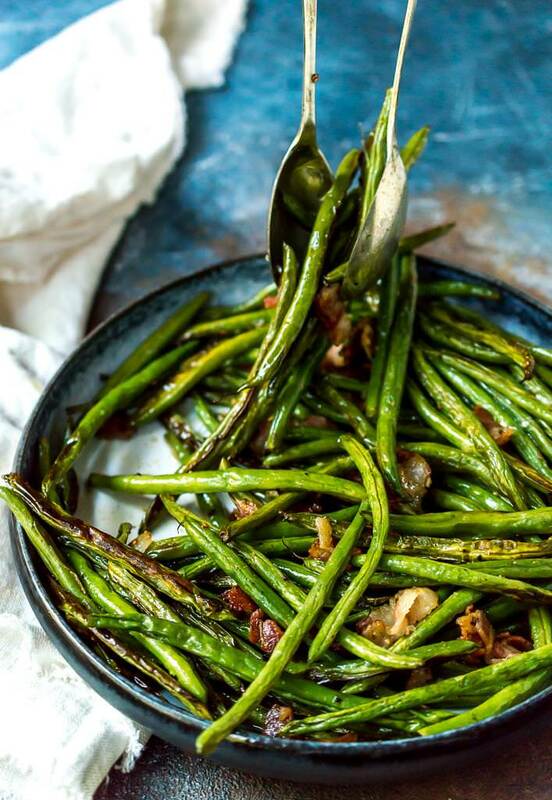 While it doesn’t get much easier than these Roasted Green Beans, here are a few more simple side dishes → Asian Cucumber Salad, Oven Roasted Potatoes, Avocado Tomato Salad, Beet Salad with Orange Vinaigrette, Quinoa Tabouleh Salad or Kale Salad with Prosciutto and Parmesan. What if you want more flavor? I personally like this simple recipe as is. But, if you want to add more flavor feel free. Toss the green beans with your favorite seasoning blend such as: Italian, Adobo, Southwest or Lemon Pepper. Do these roasted green beans reheat well for leftovers? Yes! I wouldn’t recommend microwaving the leftovers. Reheat them in a skillet over medium heat and they will not get droopy. I guess you could, buuuut, they will not be a crisp as the fresh green beans. Frozen green beans tend to be soft and wet. How should you serve these green beans? This side dish works with just about any meal. Great with beef, chicken, pork or fish. You will need a Sharp Knife, a Good Cutting Board and a Rimmed Baking Sheet . Cut your bacon while it is slightly frozen for clean, easier cuts. Make sure that baking sheet is oiled! Nothing worse than yummy food that is stuck to the pan. Buy pre-trimmed green beans to save some time. If you like that deep brown roasted color on you green beans, use dark metal baking sheets. The darker metal helps to get that color. 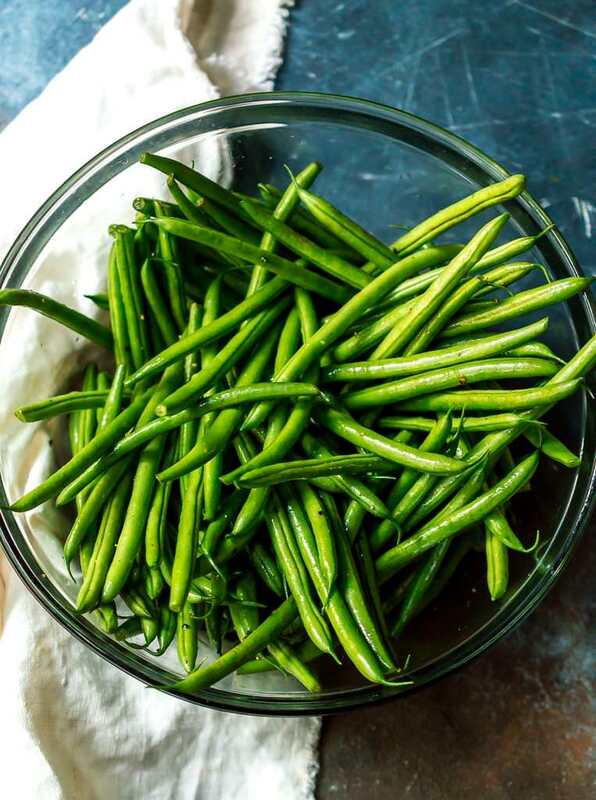 In a large bowl, toss green beans in oil. Transfer green beans to baking sheets and arrange in an even layer. 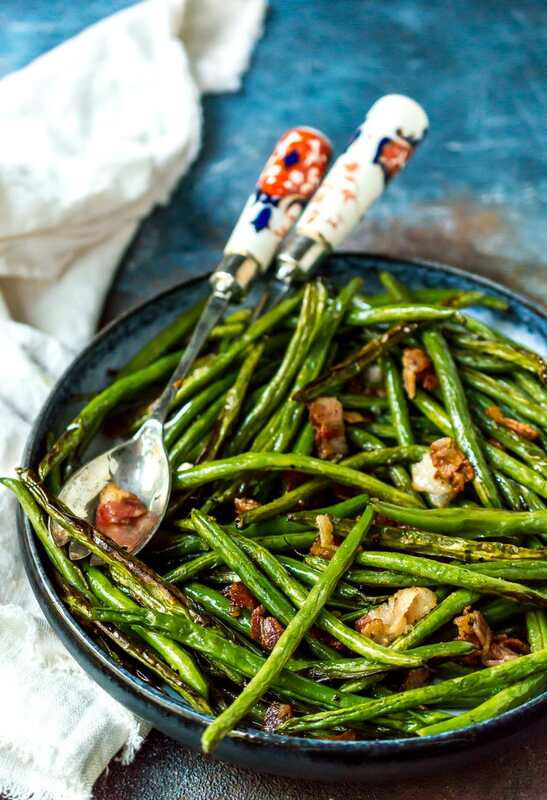 Top green beans with chopped bacon pieces. Bake for 10 minutes. Flip green beans then bake for 10-12 more minutes or until bacon is crispy and green beans are tender. Salt and pepper to taste. Oh my goodness, but this looks wonderful! I love the bacon with the beans. It’s such a great pairing. I make these all the time.I cook bacon first remove and drain some of the grease but leave enough to saute the beans in. I also saute some onion. I however use McCormick Vegetable seasoning and they are wonderful! Pretty deceiving title for your website. FYI last I checked bacon is not a whole food, nor is it healthy , it is however a class 1 carcinogen stated by W.H.O. . just hope people realize this before thinking your’re sharing “wholesome” food recipes for their family . Huh. The ingredients on my bacon say “pork, water, sea salt.” Unless you plan to cook an entire pig or never use salt, that’s a whole food. The blog title says whole, not healthy. Bacon is a part of most whole foods diets, such as Whole30.